Rich cream offers a smooth and close shave and protects skin from irritation. No brush is needed to use cream. • panthenol - helps to soothe itching, dry and irritated skin. Spread an even layer on wet skin. 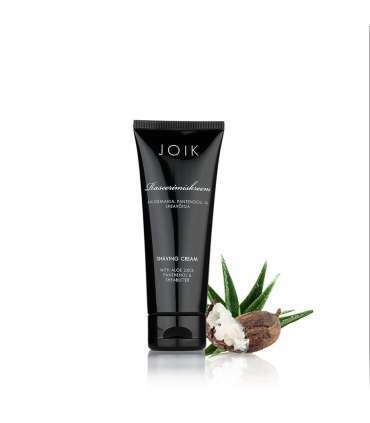 No brush is needed to use JOIK shaving cream. Shave and wash off with warm water.